I’ve had lots of mail lately asking where I got this or that for my Thanksgiving table. 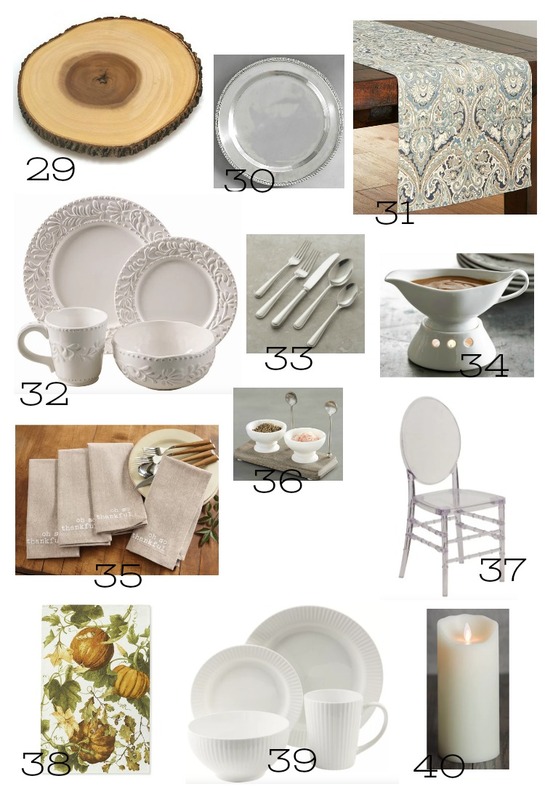 And lots more questions about dishes and dinnerware! I love hearing from you and try to answer every question. 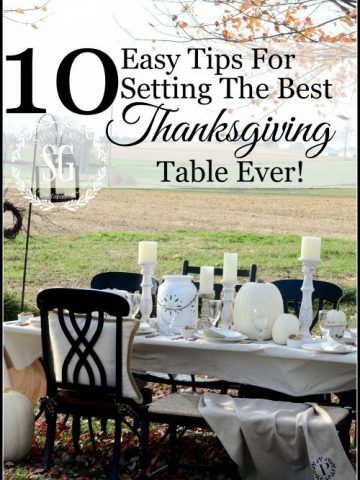 So I got to thinking that if so many readers have questions about setting a Thanksgiving table you might too! 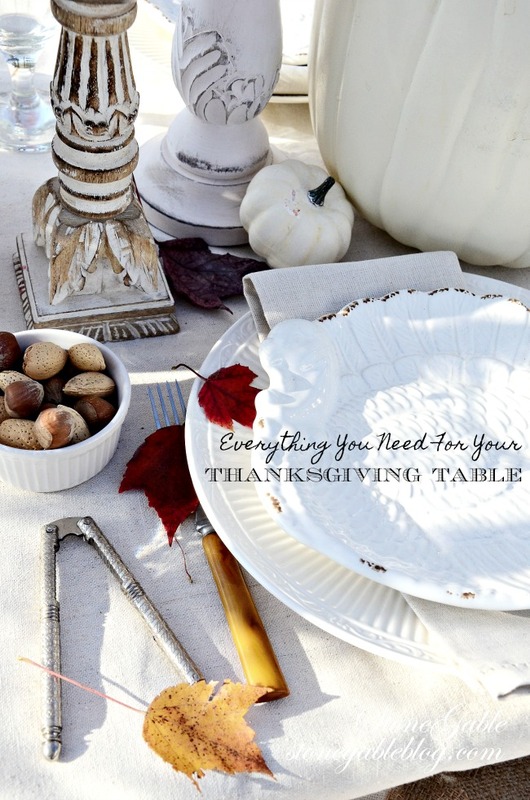 So today I’m sharing my favorite Thanksgiving table finds! 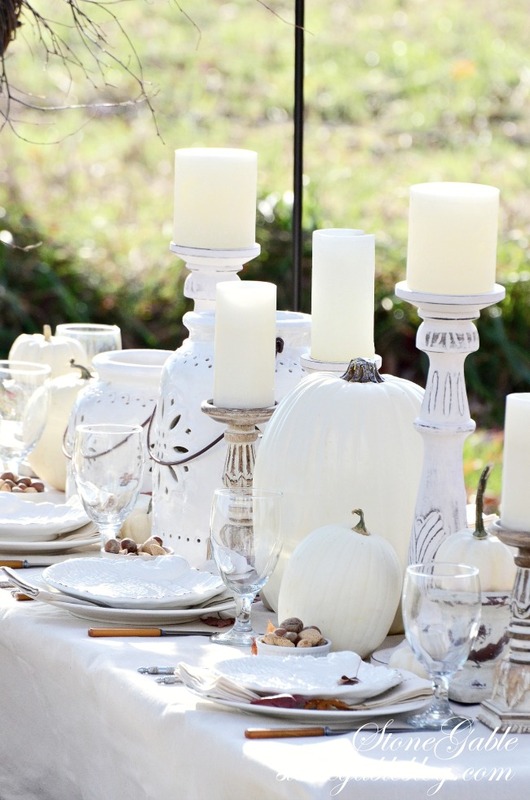 I like to keep my Thanksgiving table quite neutral and add beautiful everyday things. So the things I have on the table that are a nod to Thanksgiving look extra special! I have several things on this must have list. I have #7 the O’Keefe water glasses, #13 the Mikasa Italian Countryside dinnerware. In fact, I’ve had it about 15 years. And I love it!!!! Over several years I’ve collected 20 place settings. #23 the chunky mercury glass candleholders and #24 William-Sonoma’s white tapers. They are the best! #29 are the chargers I used on my Thanksgiving table this year. See it HERE. 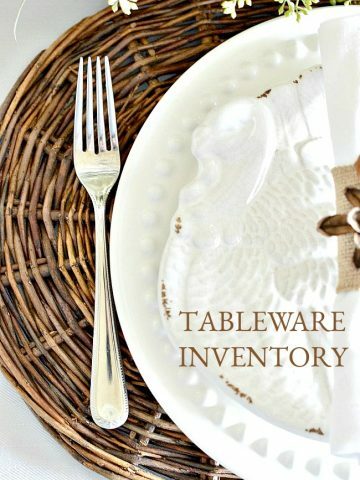 #32 is the dinnerware I get asked the most because of its gorgeous edges and I also have a few fabulous stacking Chiavari chairs. They are the best chairs when you need more seating at a table. 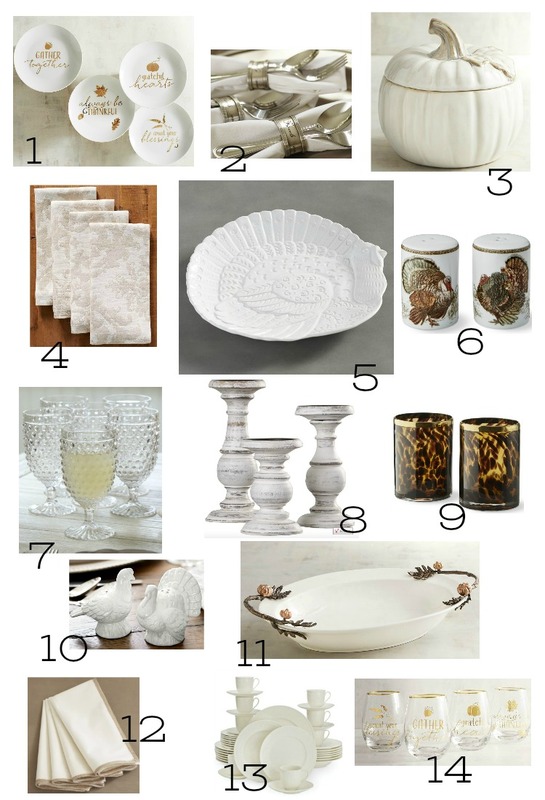 MUCH OF THESE THANKSGIVING MUST HAVES FOR YOUR TABLE ARE ON SALE!!!! Perfect timing, right? 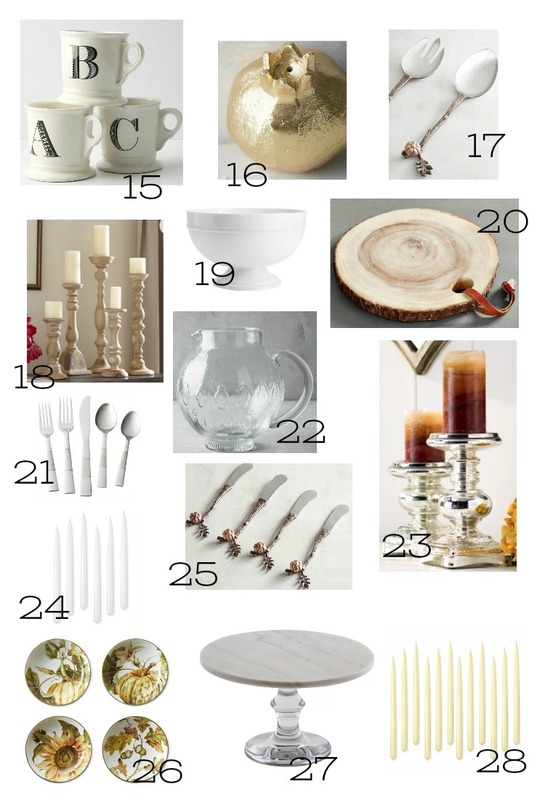 If you are not hosting think about taking something on this list as a hostess gift! I hope you were able to find something new for your Thanksgiving table!!!! 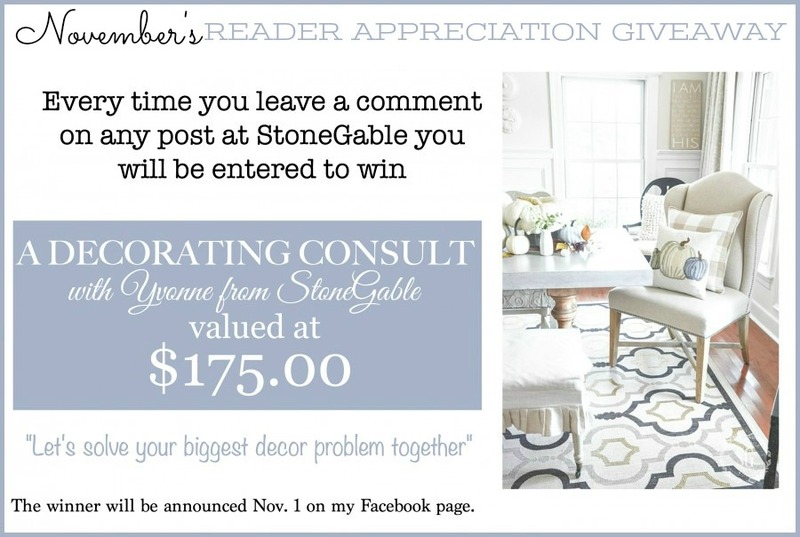 Beautiful tablescape and wonderful tips, Yvonne… I’m featuring your post on Tuesday Turn About, friend! Hugs! I love the way you layer your place settings. Would you please share what are your china patterns? I love the shapes and the styles, as well as the patterns! Just beautiful. Hi Mary, the dish pattern is Italian Countryside by Mikasa. I’ve had it for over 2 decades. And I still love it as much as the day I got it. 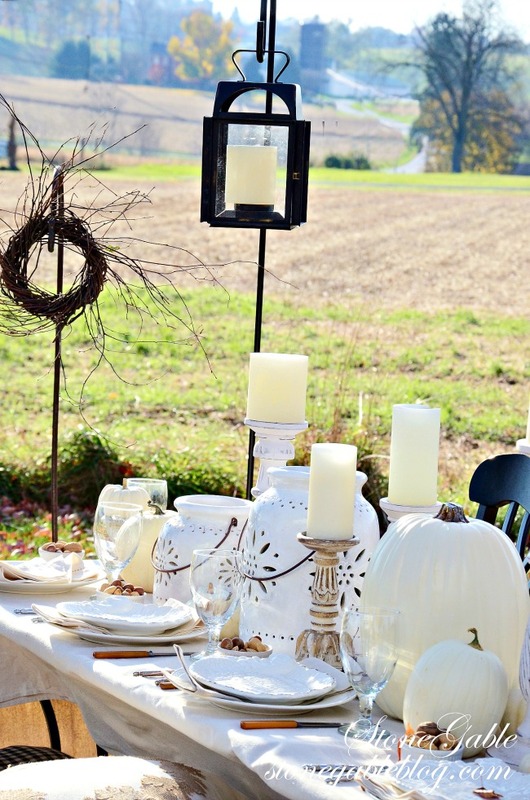 A welcoming table, so perfect for Thanksgiving. Love your ideas. You are talented! You are the epitome of class. You make me better in ways that I should always be saying thank you. I will comment more, because I always check out what is on your page. Every. Single. Day. Blessings on you my friend. This post has so much valuable information. Thank you for all the hard work that went into preparing this post. Thanks for all your hard work putting together where to purchase these beautiful items! Love that you take the time to do that. Love your blog always! I love the macenna table runner from PB. I have the duvet and shams in our master….love. Loving all your decor. You have convinced me to try a neutral table this year. Once again, thank you for the amazing inspiration. 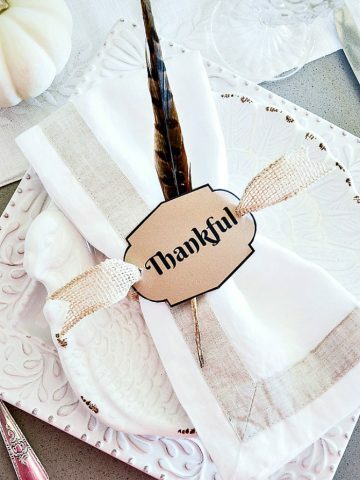 Thank you so much for sharing all those wonderful Thanksgiving must haves & where to purchase. Love to see your Christmas must have also. I’m looking for those special extra dishes that always add a special extra touch! Love your blog! Thank you for doing all of the shopping for us, Yvonne! Loved this post Yvonne. Always nice to know where things are available and what the cost is before going there. These kinds of posts are really helpful. Enjoy your day! 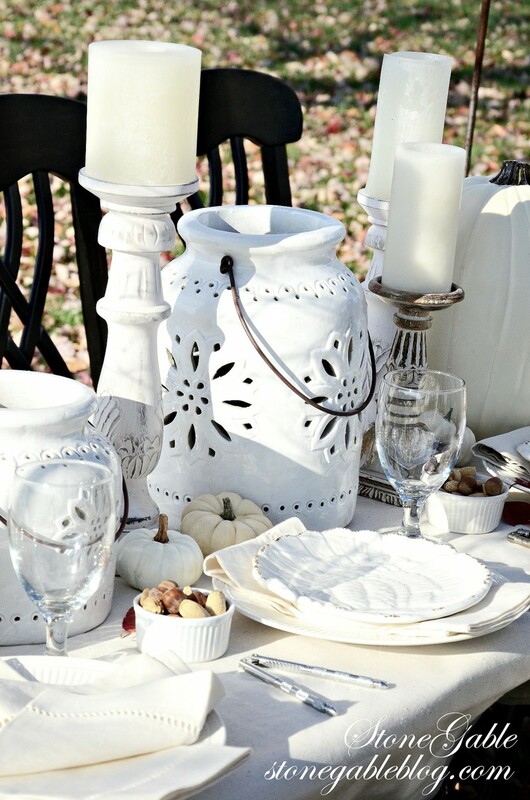 Such beautiful items make for a beautiful table. Beautiful items? Can you tell me where you purchased the plants on your coffee table? Love your posts. Thank you. HI PAT! Those pillows are faux. I must have six of them here at StoneGable! I get them at Ikea. I think they look very realistic! Hope this helps. 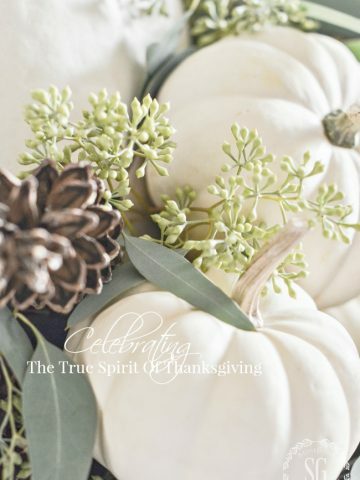 What beautiful round-ups of such pretty things – perfect for the Thanksgiving season! Love it all!! Now tell me where I can by the lantern that you show in the outside photo on the black pole? Thanks! You are the best at sharing. Hi-I don’t see a link to the pottery luminaries? Can you give the info on them, please? Beautiful! Great and helpful information for our Thanksgiving celebrations! Thanks for sharing! Thank You, Thank You, Thank You. So many wonderful items at great prices! Thanks for all the information. It is so nice to know where to get your beautiful things that you display so perfectly. So thoughtful and helpful, Yvonne. Thank you!